For Desert Safari Booking Call Us +971-52-233-0242 or Email Us sales@dunebashing.net. What are you in the Mood for.? There are few experiences more amazing than a Desert Safari in Dubai. To learn more about booking a trip or for more information on tours, get in touch with us using the contact form or call us at 00971-52-233-0242. This tour is the most popular among the tourists. 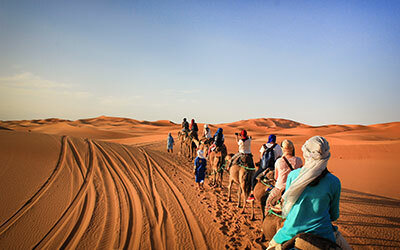 Evening desert safari includes dune bashing, sand boarding, BBQ dinner, belly dancing and camel rides. Book your evening tour today to enjoy a spectacular sunset across the dunes, try spice-filled Arabic food and tame a camel. If you are a morning person, then this safari tour is your option. Start your day with a thrilling quad biking experience, explore the gorgeous desert landscape, ride on a camel and try sandboarding. With safari morning tour excellent mood for the whole day guaranteed. Overnight Safari is the perfect choice for people who want to spend the night in the desert. Take a step back in time and experience Dubai as it was decades ago. 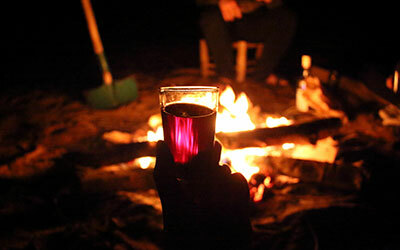 Join us for overnight safari to relax beside a bonfire and enjoy the star-filled night sky. Hummer safari is the perfect option for individuals who appreciate modern comfort and convenience. Book this tour to experience the adventurous desert journey followed by delicious BBQ dinner and authentic belly dance show. Don’t forget to take your camera with you. Even though camel rides are included in most safari tours, Camel Desert Safari is also worth visiting. It was designed specifically for people who want to enjoy the desert camel ride to the fullest. Forget about all your worries — go for a memorable 45-minute camel ride. 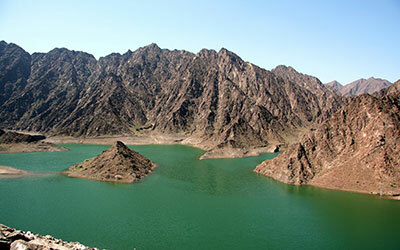 Hatta is the ideal destination for thrill-seekers and nature-lovers. If you are looking for something special, you should book this tour. The Hatta desert safari includes a scenic view of the mountain landscape and a magnificent scenery of the dried up river beds in the wilderness areas of Hatta Omana. Our website is the perfect place for individuals who want to immerse themselves in the culture of Dubai. Here, you will find the best desert safari tours at affordable prices. Whether you are searching for a morning, evening or overnight safari, we’ve got you covered. Dubai Desert Safari is an ideal choice for people who strive to experience the vibrancy of Arabic lifestyle without spending too much money. In case your goal is to enjoy the pristine beauty of the UAE's picturesque East Coast, then desert safari tour is exactly what you need. Dune Bashing Agency: Tailored to Make Your Holiday Trip Unforgettable. Your safety is our first concern. Our excursions are designed with excellent safety measures. The rules and regulations will be explained to you to ensure your safety. 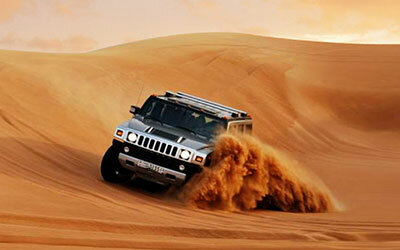 We stand out from the crowd by providing the cheapest desert safari tours in Dubai. 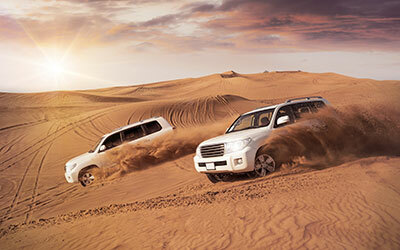 Our agency offers quality yet affordable Dubai desert safari tours you’ll want to repeat. Without a plan, there are a thousand things that can go wrong on a trip. Thanks Dune Bashing, you will not have to worry about anything except having a wonderful journey. Each safari is planned to the smallest detail so that you can enjoy your trip to the fullest. Explore first-rate desert safari deals and pick the one that best fits your needs. Reasons why you should go to Desert Safari Dubai? Desert Safari is the perfect way to get away from the hustle and bustle of urban living. This trip gives you a complete change of scenery. Travel through the magical desert, get in touch with nature, revive your mind, body, and soul. A really great way to recharge your batteries and explore untamed places. Searching for a unique place to capture the beauty of Dubai? Look no further than Dubai Desert. Making stunning photos in the desert is an amazing decision. Take your friends and family on a trip for more photo shoot ideas. Don’t forget to make a traditional picture with the camel. If you are going for a desert safari tour for the first time, then after the trip you will be compelled to believe that it’s a once in a lifetime experience. Reading or talking about it won’t help you feel the adrenaline rush that comes with the exciting ride through the desert in real life. Dubai is one of the best places to visit in the world. Every day, the city fascinates thousands of travelers from all over the globe. In most cases, people come to Dubai to enjoy its beauties. Some individuals like to visit natural places, such as the Arabian Desert, others prefer visiting human-made attractions like Burj Khalifa, Burj Al Arab, and Palm Jumeirah. Dubai is the perfect blend of tradition and modernity. Every visit to Dubai brings new discoveries. Once you are in the UAE, make sure you have a tour guide who will challenge the way you see the city. Our agency offers professional tour guides. They will ensure you with the objective list of the most popular places to see and visit in Dubai. Last but not the least, Dune Bashing strives to provide a unique experience to each client. Therefore, we are offering a wide range of safari tours to our clients. We believe that each client and tourist comes with different expectations and as an experienced travel agency we strive to provide that unique and customized tour experience to all our clients. So, if you are looking for a thrilling, unique and an extremely fun trip during your time in Dubai, then you definitely need to try Desert Safari tour and you can check our desert safari dubai reviews on tripadvisor and as well as on Google plus. Dubai Desert Safari is a must when you are in the UAE. Regardless of whether you are a tourist or a resident of the country, you should go for it. Dune Bashing provides a broad range of safari tours to suit every taste, schedule, and budget. Thus, if you are looking for a thrilling, unique and enjoyable safari tour in Dubai, try the deals we offer. You can check our desert safari Dubai reviews on Tripadvisor. For more information on each safari tour get in touch with our travel agents by filling out a contact form. If you have urgent questions or want to make time changes for your tour, call us at 00971-52-9372201 between 9:00 and 10:00 PM. We'll take the time to answer all of your questions, providing you with the most personal attention possible. Dunebashing.net — better than other desert safari companies in Dubai! If you are looking to find out more details about the trip, or want to go on different timings then give us a call today or leave a message and our team will get back to you within no time. We believe in Quality, Satisfaction & Flexible Tours. Copyrights © 2017 All Rights Reserved by DuneBashing.